Arch Marker - Estate Lawn Address Plaque with Two Lines of Personalization. Our Estate Size Lawn Marker with Two Lines of Text will enhance the exterior of your home or business with its elegance. 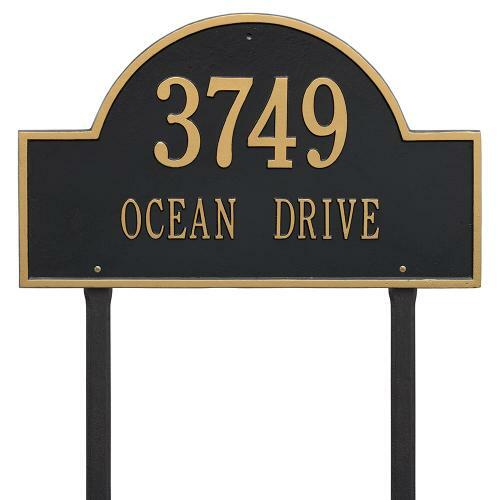 The Estate Lawn Address Plaque is made from rust-free cast aluminum providing excellent quality. The plaque has a stylish arch shape.